Derry City manager Kenny Shiels has confirmed that he will personally deliver 2016 season tickets. Shiels feels that if any supporter is unable to travel to the Brandywell to purchase his or her ticket, then he will go to their home. “Some fans may not be able to make the trip to the Brandywell, for whatever reason so I have no problem personally delivering season tickets to wherever. Well...within reason,” he joked. 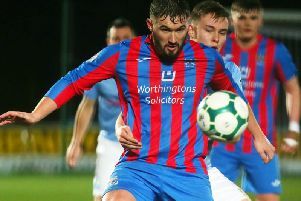 “I can also tell fans that if I’m not busy and in my office at the Brandywell when they call over to buy their season ticket, then I have no problems with them calling in for a wee chat. Season Tickets for the 2016 campaign are now on sale at Brandywell, Monday to Friday from 10am to 4pm. Adult Seating tickets are priced at £180; 1 Child Seat (5-12 years) – £40; 2 Child Seat (5-12 years) – £75; 3 Child Seat (5-12 years) – £90; School Children Seating (12-16 years) – £75; Concession Seating – £125; Student Seating – £125; Adult Terrace – £155; Concession Terrace – £115 and Student Terrace – £115.